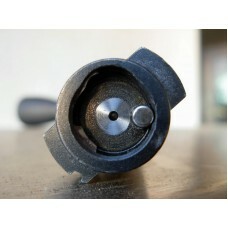 Bolt firing pin bushing is and excellent upgrade in order to run small primers. I use a threaded bushing that is long enough to keep the firing pins supported at all times, even when cocked. The firing pin never leaves the bushing so it stays in perfect alignment. The firing pin hole size will be .0625.